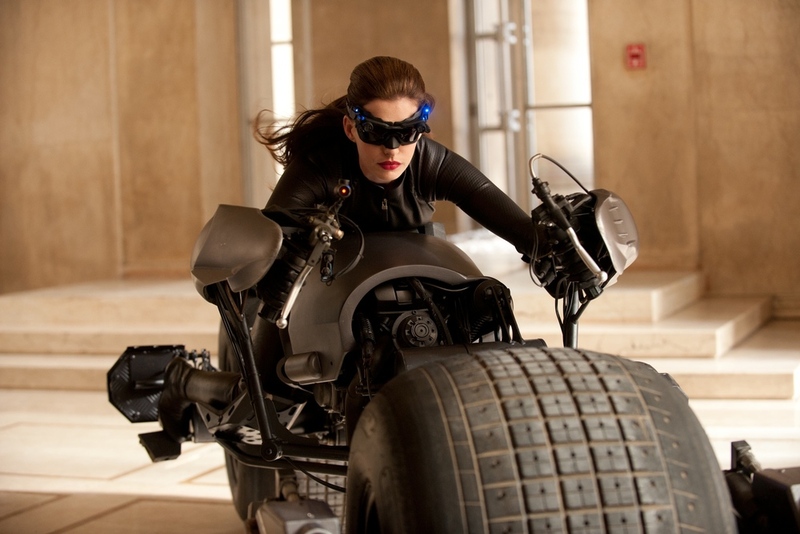 Anne Hathaway is set to play Selina Kyle aka Catwoman in Christopher Nolan's The Dark Knight Rises. This week we have shared the first official look at Catwoman and some pictures from the set of Hathaway's stunt double. Batman-News has revealed some details that may be the backstory for the character. "Catwoman is apparently one of the most well written characters we’ve seen in these movies so far and she could potentially steal the show the way Heath Ledger did last time. She does some cool stuff in the movie like jumping out of windows and stealing the Batpod. Her back story is that she has a history of abuse and works as a stripper and is also a pickpocket." This is very similar to the earlier scoop that the backstory will follow Frank Miller's Batman: Year One. Batman News.com also reports that Catwoman will definitely be wearing a cowl at some point during the movie. I am sold on anything that Nolan is involved with. This is going to be an amazing film and Hathawya will be perfect.